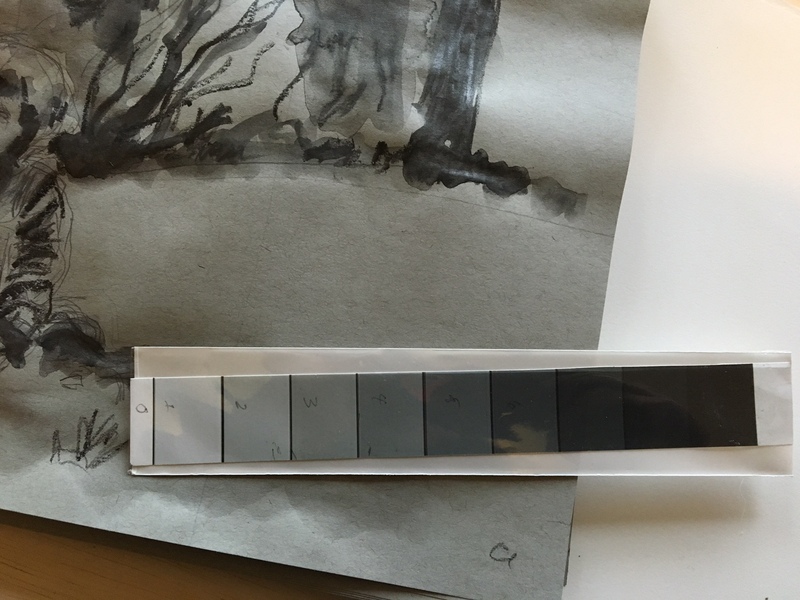 There’s nothing like being reminded for the umpteenth time to do a “thumbnail.” For those who don’t know, this is a (usually small) simple sketch or two before attempting to dive right into drawing or painting the work you have in mind. Often it takes a teacher to get through to you on this; for those more accustomed to “multi-tasking” and thinking it is doing some good, it requires a bit of discipline to keep slowing down. So, in the current class in pastel painting, the teacher handed out this handy little value chart (which I’ve protected in a little plastic sheath–see photo below). also provides valuable learning opportunities. 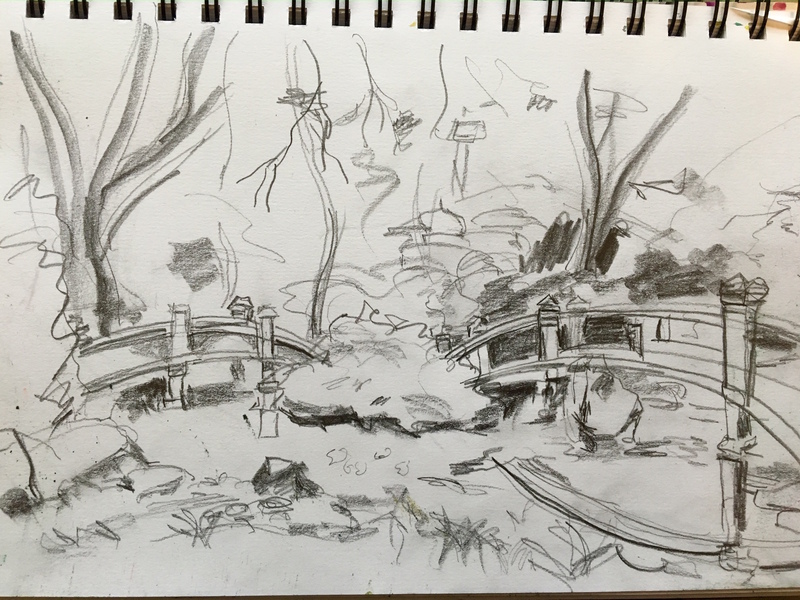 A small Japanese garden, for instance, features two whimsical bridges, leading to a roughly sketched out ‘work-in-progress’ in pastel.